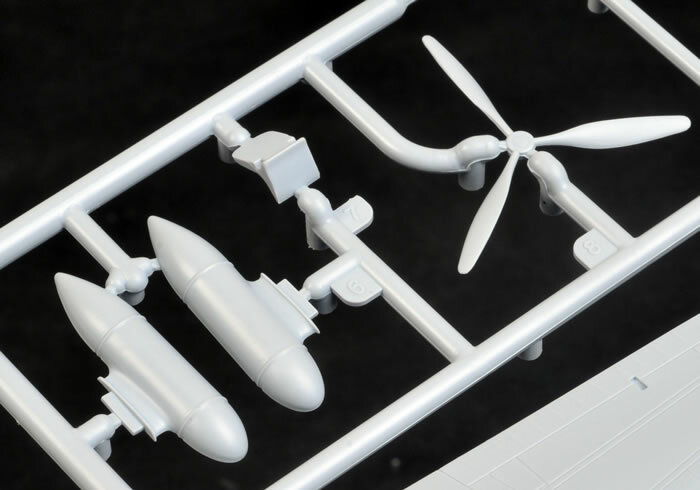 Contents and Media: 46 light blue/grey injection moulded plastic parts on 3 sprues, 1 clear injection moulded canopy on 1 sprue, decals four 1 aircraft only and an A4 sized, fold-out, instruction sheet with history and 17 build diagram. 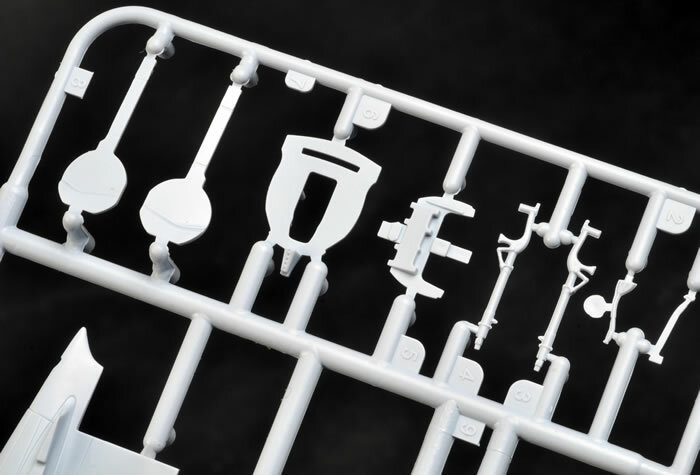 The paint/decal instructions are on the rear of the box in-line with other Series One kits from Airfix. 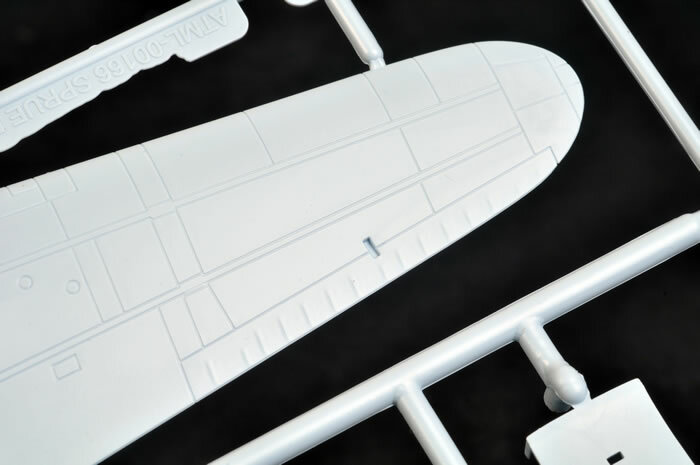 Advantages: Cleanly moulded; high level of detail in all areas; good decals and clear parts; optional folded wing-tips; pilot figure supplied. 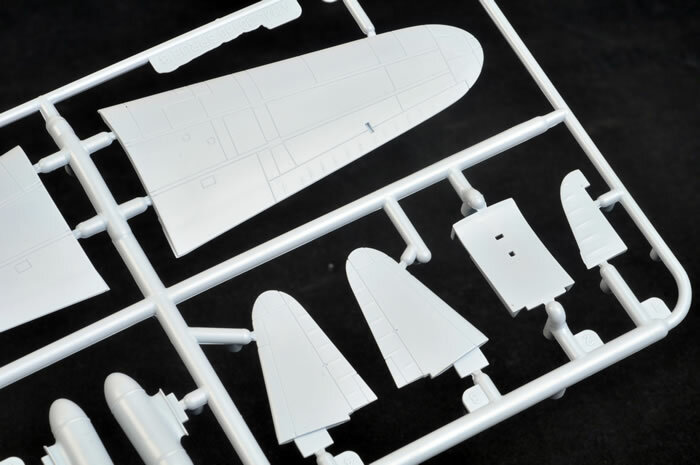 Disadvantages: Panel lines are still a little on the heavy side; decal only for the instrument panel; shallow wheel wells; one piece only canopy. 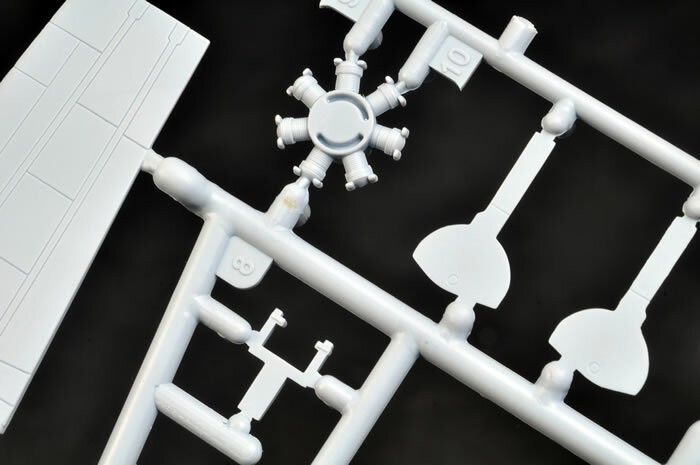 Conclusion: A very sound model that is cheaper than any other Zero kit around and therefore good value for money. 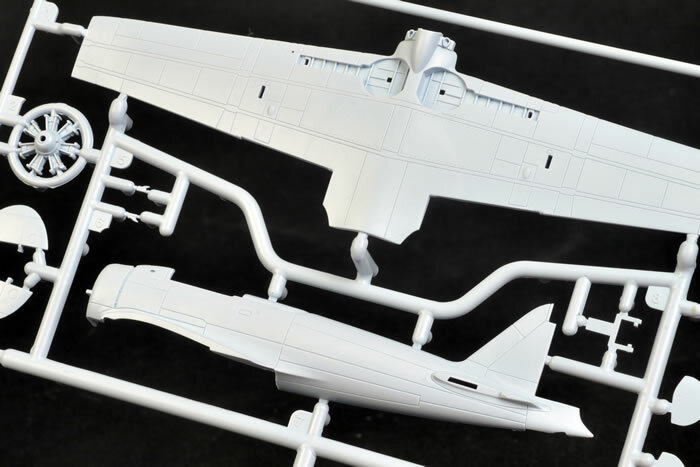 The first few new kits we saw from Airfix after they were purchased by Hornby, their current owner, were a little hit and miss and sometimes a little disappointing. I note that these were all moulded in China. 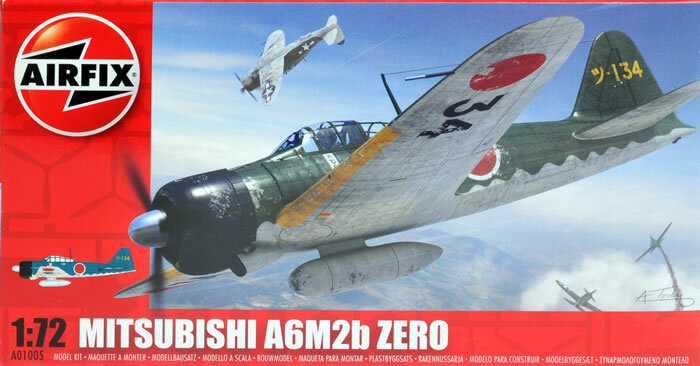 When Airfix’s Indian plant came on stream there was a marked improvement starting with the 1/72 scale Mk.I Spitfire and continuing through to the subject of this review, the Mitsubishi Zero. You may say that’s a bit harsh, but I don’t thing so. 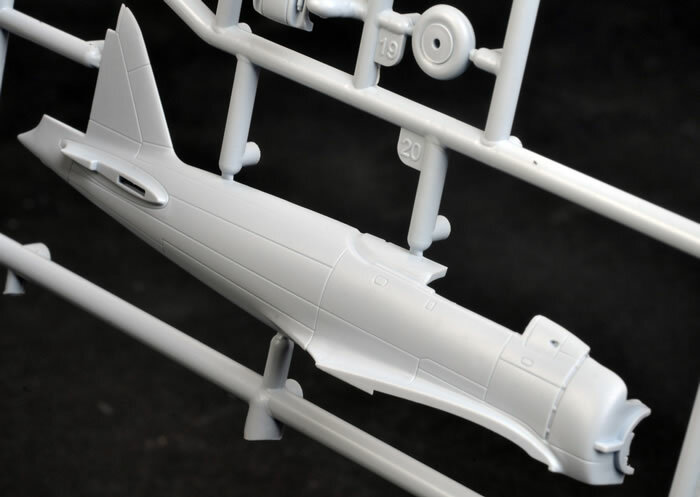 The last few kits put out by Airfix have been very good, well moulded and detailed and this one is no exception. Sure they are not perfect, those panel lines are still a bit deep and some of the detail could be better but compared to most of their opposition they rate very highly and they are so cheap. 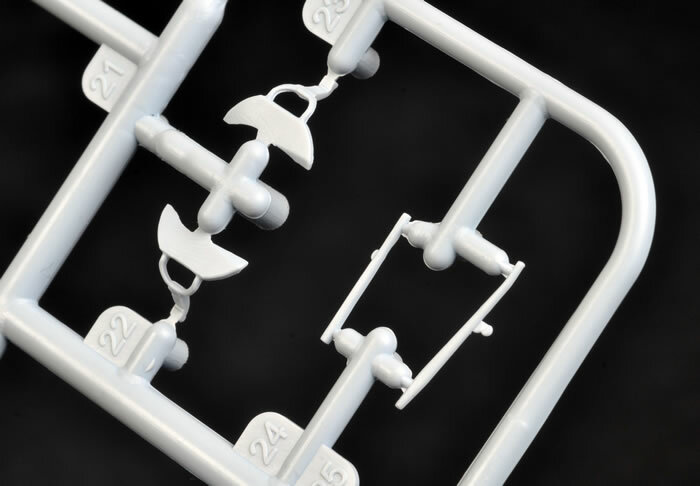 The Fine Molds Zero kits, in my opinion, will never be outdone but the cumbersome way they marketed it made them very hard to come by, and importantly this Airfix kit is a quarter of the price. 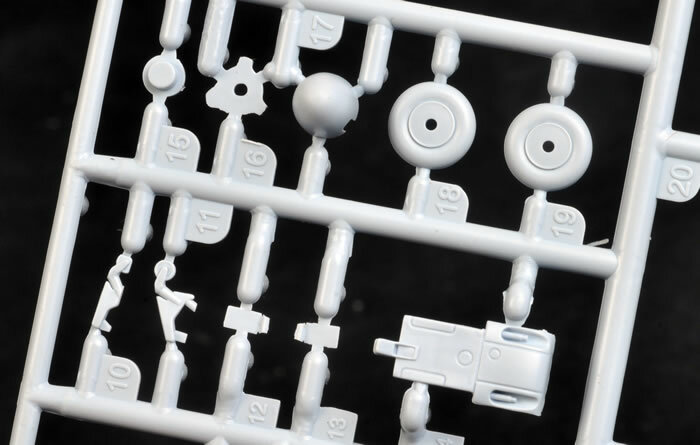 Up until the advent of the Fine Molds Zeros, Hasagawa gave us the best representative of the model, accurate in shape but lacking in detail but still three times the price of this Airfix offering. 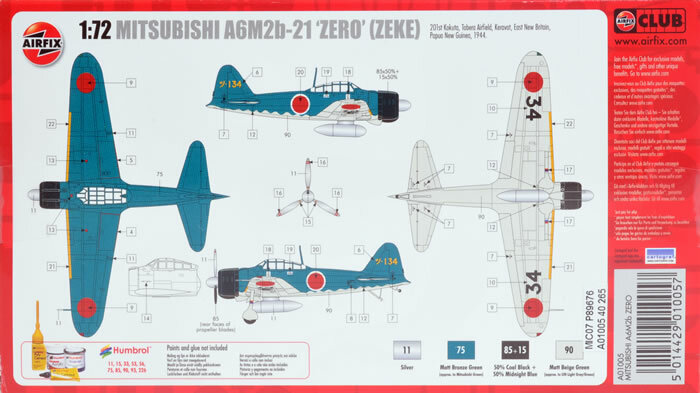 Athough the Airfix Zero cannot compete with the FineMolds offering in terms of detail and options, it is certainly head and shoulders above the Hasagawa offering in detail - and it kills both in value for money. 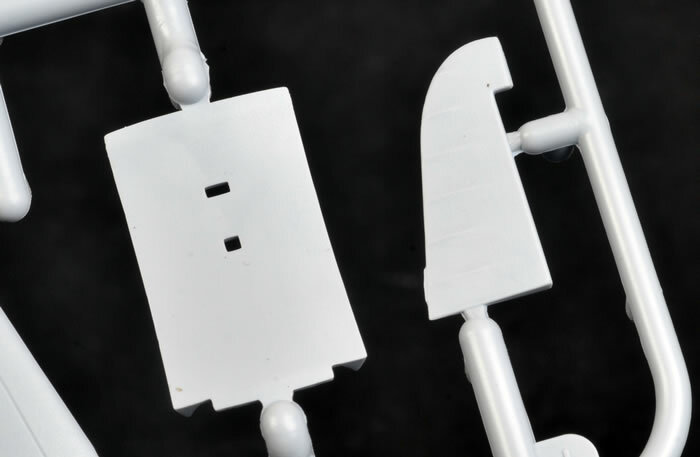 The canopy, although one piece, is very thin and should be able to be cut open if required. It is a far better shape than that from Academy. 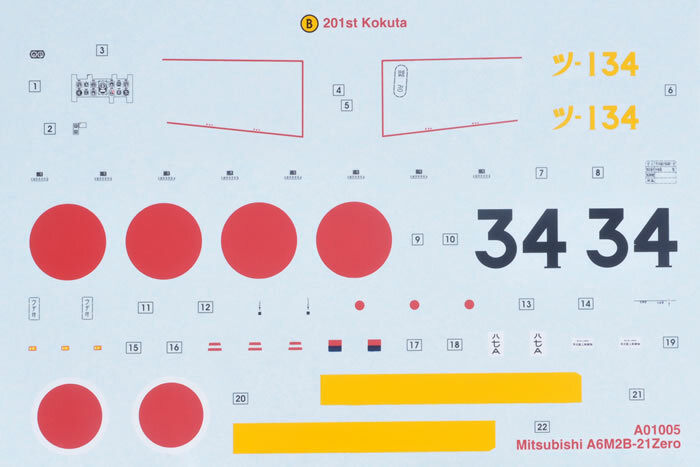 The decals for the single option look good, are well printed, in register and flat in finish. I’m also told that they are for a training Squadron. I believe all Airfix series one kits come in the end opening box with only one decal option marked on the box rear. That’s not to say this kit couldn’t be re-released in the future as a series two kit in a top opening box with multi decal options. Yep, business as usual but thanks Mr. Airfix. Looking forward to even more business as usual!